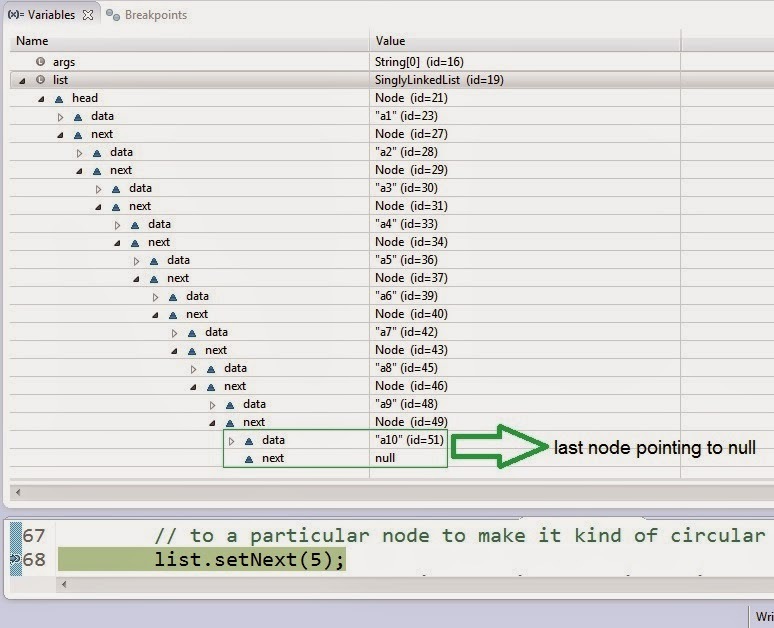 To find the intersection point of loop in a non null ending singly linked list. 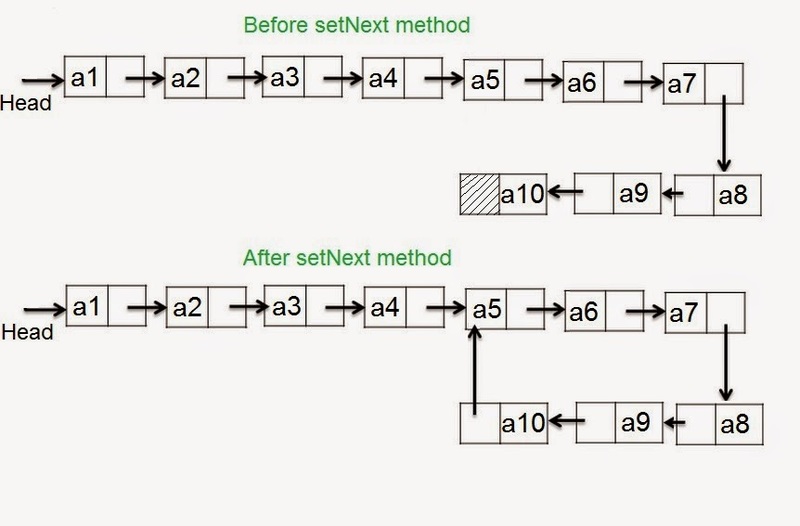 We are using the Node class and the SinglyLinkedList class for implementing singly linked list in java. 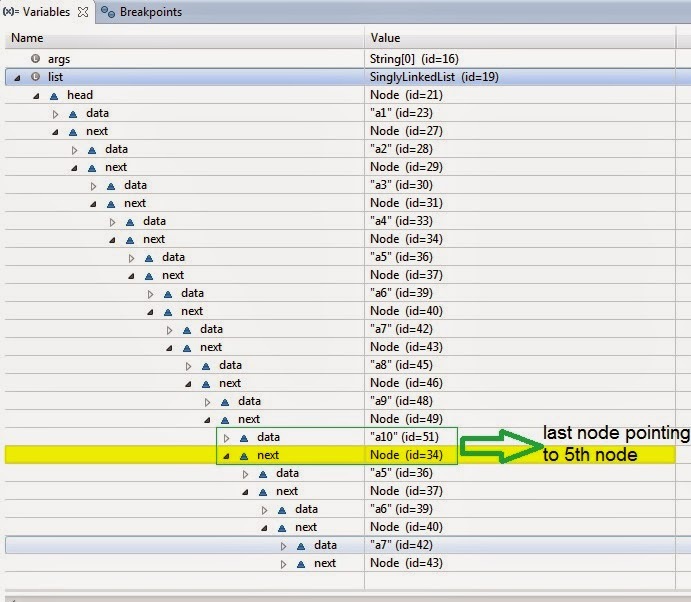 In the implementation class we have a additional function public void setNext(int n) which will make the last node of the singly linked list point to one of the node of the list. 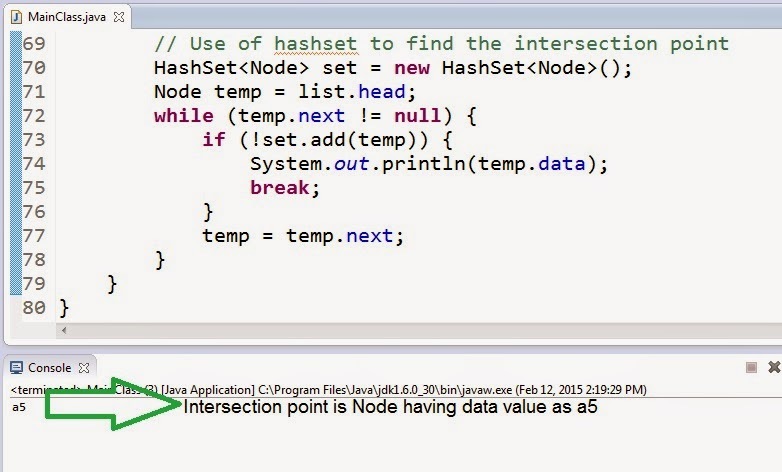 We are using Hashset to find the intersection point. We have used hashset to find whether the element has been already added or not.